Spain has seen a demand for oil exploration permits up 35% since 2012. In a recent report published by Deloitte earlier this year oil companies have projected a forecast of 250,000 new jobs in Spain and hopes are that oil could constitute 4.3% of GDP by 2065. There are also predictions that Spain could become a gas exporter by 2031 producing 20% of the oil it consumes. The main offshore deposits lie between Lanzarote in the Canary Islands and Morocco. The remaining deposits lie in the Bay of Valencia close to Ibiza. The decision to frack for oil in these areas of great natural beauty has met with fierce opposition. 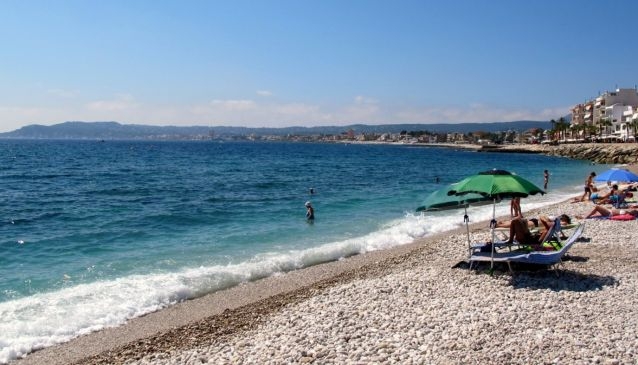 Protest groups have been set up in Denia and Javea, two popular beach resorts which would be badly affected by the move. Protestors argue it would be bad for the environment and the economy. Would tourists still want to come to an area which is blighted by fracking? In February more than 20,000 people gathered to march in Ibiza despite having a population of only 132,000. 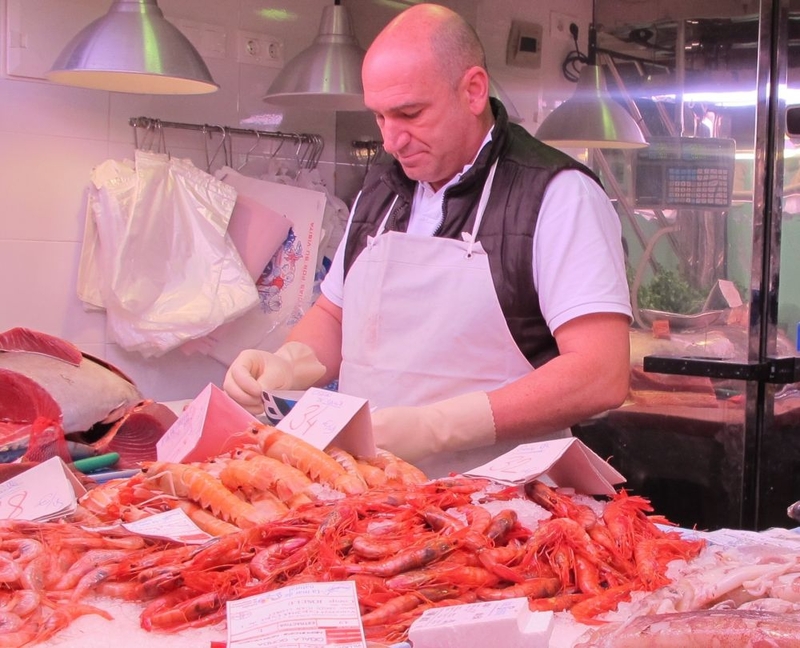 In addition thousands of people on the Costa Blanca and Balearic Islands signed a petition to the European Commission demanding a halt to sonic exploration with protestors claiming that the booms damage fisheries and bird life. 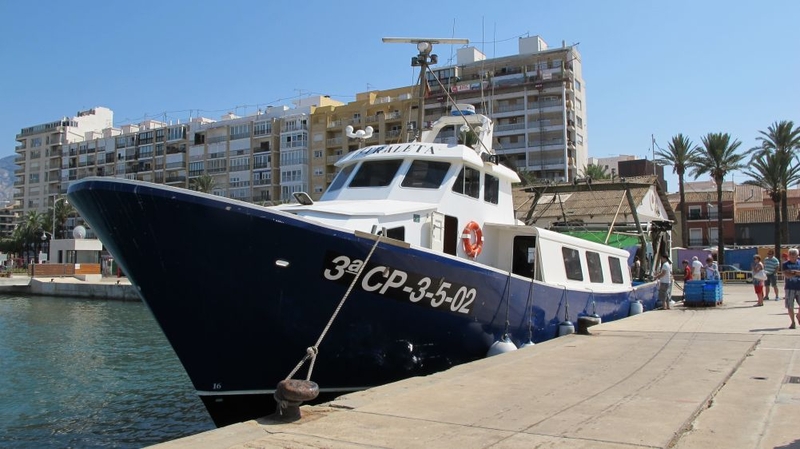 Yacht clubs and fishing guilds in the Marina Alta area are also up in arms as it will affect the fishing trade as well as leisure pursuits on the water. 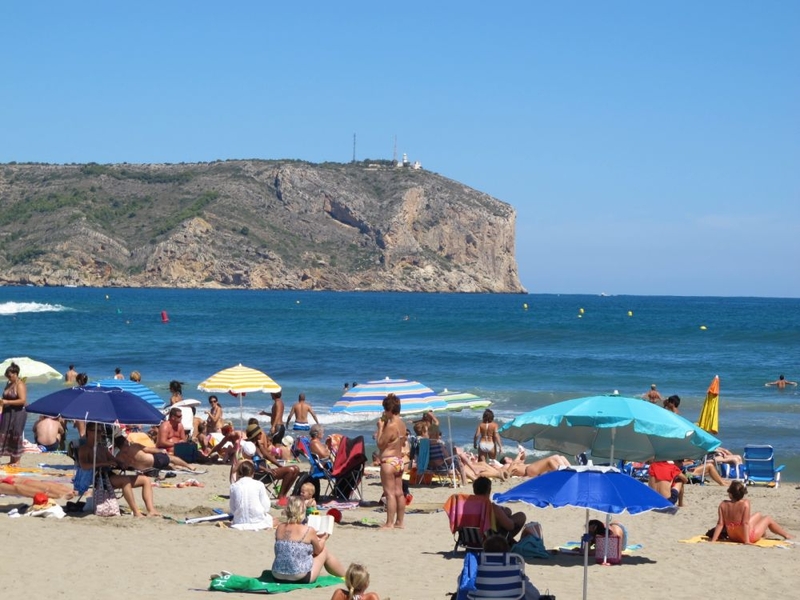 Javea town council, among others, is also against the proposal and is urging people to sign the petition against fracking off the Costa Blanca coast. 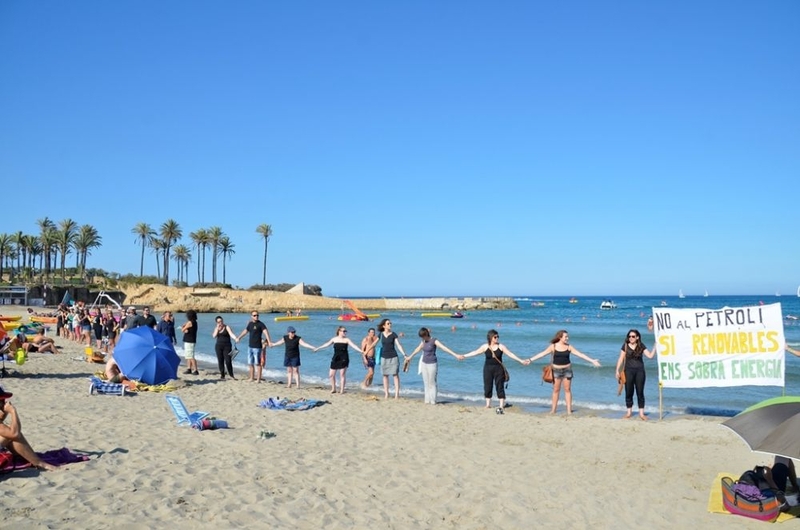 Javea recently held a protest on the beach to continue their fight against any possible oil drilling. At present Spain depends on imports for 99% of all its oil and gas needs. Although several regional governments had outlawed fracking in Spain, the decision was last year overruled as central government used its overall majority to pass new legislation on the issue. There is particular concern among campaigners for the island of Ibiza which is famed not only for its nightclubs and dance culture but is also renowned as a UNESCO World Heritage Site. According to Sandra Benbeniste, co-ordinator of the Ibiza Preservation Fund, the drilling required is 1,200 metres deep and would have significant adverse environmental effects. Oceania has warned that a marine ecosystem of more than 17 million hectares which include 82 protected areas and nearly 200 protected species are at risk due to ongoing seismic surveys in the region. The seismic surveys are a menace too as the noise they produce is harmful to the fish and marine life in this part of the Med, environmentalists argue. In January 2011 Cairn Energy was awarded a licence by the Spanish government for prospection and drilling in the area around the Balearic Islands and Alicante. There has been overwhelming local and international opposition to the project and although Spain's Industry Minister, José Manuel Soria, had requested that Cairn Energy and other prospectors submit Evaluation Impact Reports there have been numerous allegations of faulty impact studies being performed between 2012 and 2013. One thing is certain - the protestors will have a battle on their hands. The fracking companies have formed a lobby, Shale Gas España, which says there is no need for any environmental impact evaluation studies to be carried out.